Academy Award winning star/director Mel Gibson has committed to the action thriller Waldo, where he will star alongside Charlie Hunnam and Eliza Gonzalez, according to The Hollywood Reporter. The film is based on Howard Gould’s novel Last Looks, and will be directed by Brit filmmaker Tim Kirby, who is best known for directing episodes of Veep and the pilot for Fleabag. Waldo introduces a new hero in disgraced former LAPD detective Charlie Waldo (Hunnam), currently living the life of a minimalist in the woods. His quiet life comes to a startling halt when he is roped back into working as a private eye to investigate the murder of an eccentric TV star’s wife. Filming is set to commence in the first quarter of 2019. The project is one of many currently on Gibson’s schedule. Earlier this year news broke that he would star alongside Annabelle Wallis (The Mummy) and Frank Grillo (Captain America: The Winter Soldier) in the action-thriller Boss Level; in August the actor committed to the World War II revenge thriller War Pigs with Colin Farrell; and in August he signed on to co-write and direct a remake of The Wild Bunch. Gibson is also developing a Passion of the Christ sequel with Jim Caviezel, and was prepping the WWII drama Destroyer before taking on Wild Bunch. Gibson has also wrapped filming on The Professor and the Madman in which he stars as Professor James Murray alongside Natalie Dormer’s Eliza Merrett; and the cop thriller Dragged Across Concrete with Vince Vaughn. The former is apparently facing post-production trouble, while the latter debuted to solid reviews at the Venice Film Festival but has yet to receive a wide release. Hunnam was last seen in A Million Little Pieces, but currently wrapped Triple Frontier and The True History of the Kelly Gang. He is currently shooting Jungleland from director Max Winkler (Flower). Gonzalez starred in Edgar Wright’s fantastic Baby Driver, and will next be seen in Robert Zemeckis’ Welcome’s to Marwen this December. She will also appear in Highway, Alita: Battle Angel, Paradis Hills, Cut Throat City, Bloodshot, and Kung Fury 2. 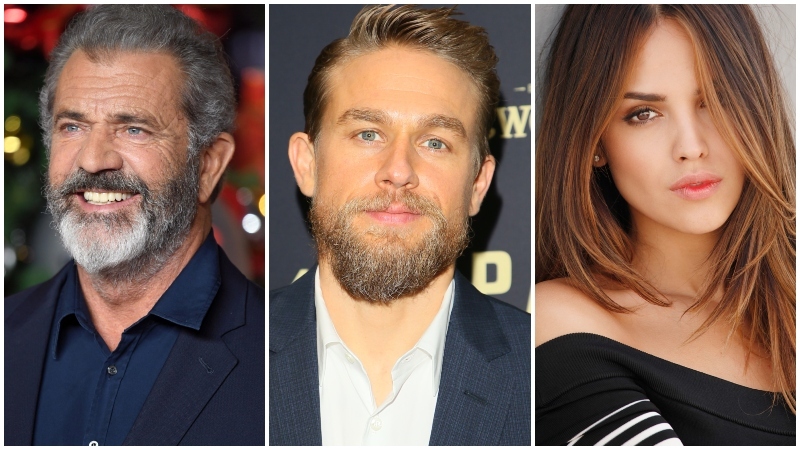 The post Mel Gibson Boards Waldo with Charlie Hunnam and Eliza Gonzalez appeared first on ComingSoon.net.